What are the Best Insoles for Golf Shoes? Take a look inside your golf shoes. Do they have poor arch support? Are you using a custom insole in your daily shoes but not your golf shoe? With every step, your arch should feel solid and your heel should be supported. A thin, cushy insole isn’t the answer. Your foot needs rigidity and structure or it may continue to lead to instability. Do your feet feel comfortable after walking for 20 minutes? If not, then you need to address the shoe or find a custom insole that is comfortable. Consistency in feet placement affects consistency in your golf swing. When you begin your swing sequence with a stable footing, you give yourself the best chance for a great shot. Poor alignment can lead to inconsistent movement patterns and decreased balance and stability. If you’re lacking in any one of these three areas, you need to reconsider your current golf shoe insert is providing the right support. Before you throw out your current golf shoes, consider one of these golf specific insoles. Better Stability and Balance – This was most noticeable when I finished my swing. Comfortable and Supportive – Walking along the course was comfortable and my arch and heel felt supported with each step. Consistent Feel and Alignment – At every approach, I felt like my stance was consistent and that my entire lower body was in good alignment. This is such an important element of a consistent swing, but it’s one that is often neglected. 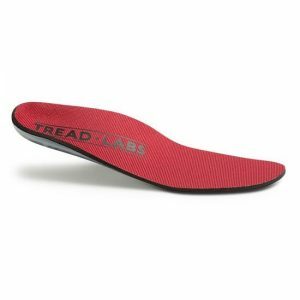 Another popular option for golfers includes the TreadLabs stride insole. 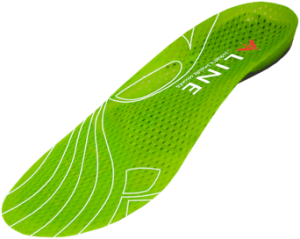 These are removable, semi-custom insoles that provide increased stability for improved biomechanical support. All three are critical for top performance on the golf course. These insoles were designed to improve alignment and positioning of your lower extremity in order to set you up for improved posture. The focus on stability leads into better performance of a consistent weight shift and rotation in order to provide a more powerful golf swing. 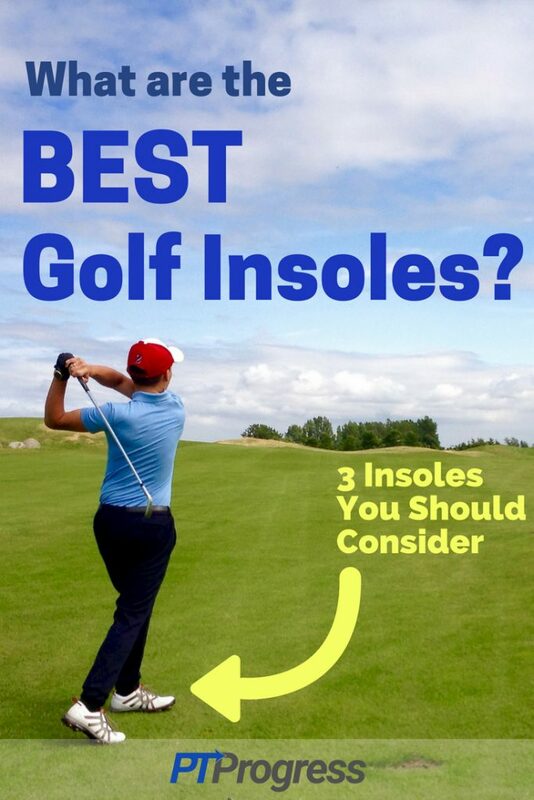 If you’re starting your search for the best golf insoles, I would check out these three options. 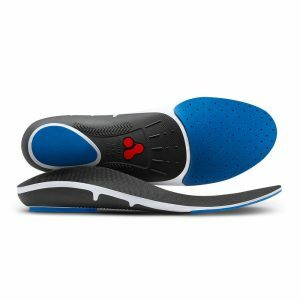 You will likely find a dozen different options for golfers, but your focus should be on finding an insole that provides stability and realigns your feet into better overall posture. For about $100, these insoles are not cheap, but you think of your feet as cheap? If you put value on your health, then consider the importance of your joint health and comfort by giving your feet the support they need while you’re playing 18.